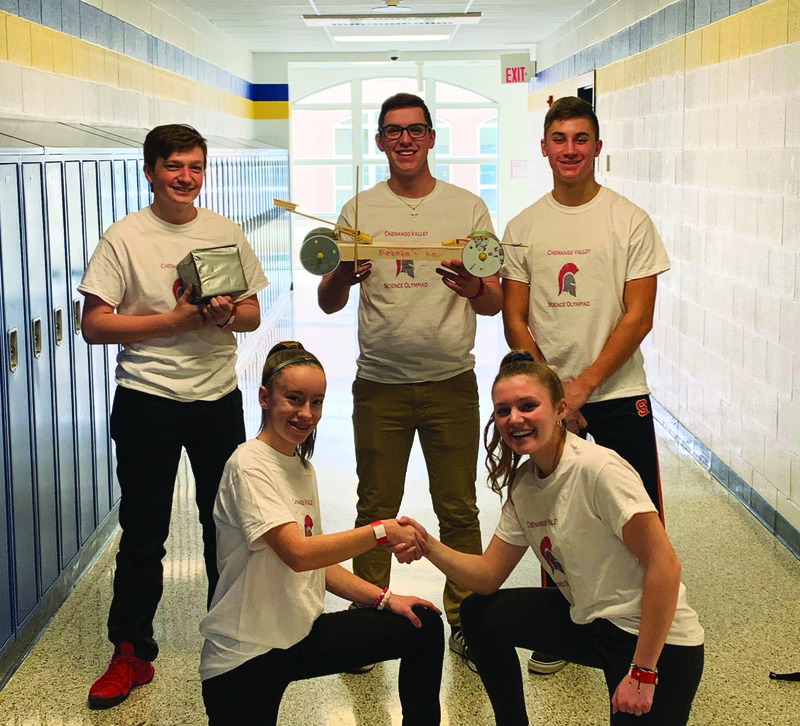 On February 9, the Chenango Valley Science Olympiad team competed against 17 other districts in the regional tournament held at Maine-Endwell Middle School. The students used their knowledge in all branches of science to compete in various events including mousetrap car racing, thermodynamics, circuits and chemistry lab. Most events were done in teams of two and the students spent the months leading up to the competition studying, building and preparing. Excellent job to all the students who participated! We look forward to continuing to grow our program for next year!